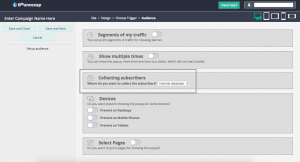 Bouncezap offers seamless integration with Customer.io email marketing service. Connecting Bouncezap to your Customer.io email list is easy. 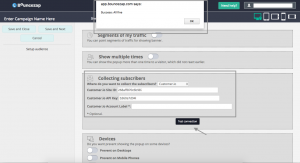 Follow these few and easy steps to connect Bouncezap with your Customer.io account and you can have Exit Intent popups and email capture forms in no time at all. Next, select Customer.io from Email Provider dropdown. 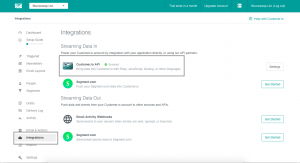 To obtain your Customer.io API credentials, log into your Customer.io account dashboard and select the Integration link in the sidebar menu, then the Settings button for the Customer.io API item. 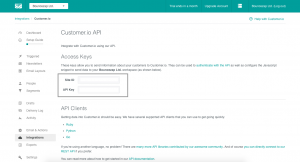 The credentials will be located under the Access Keys section of the Customer.io API page. 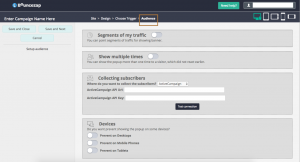 You will need both the Site ID and API Key. NOTE: For Customer.io Account Label, this is OPTIONAL. You can add any name that matches your preference. Copy API KEY and site ID then head back to Bouncezap. When done pasting the API Key and Customer.io List ID, click “Test Connection”,then a dialog box will popup as shown below. CONGRATULATIONS! You successfully integrated your Customer.io account with your Bouncezap account.